Come get wet with Makin Waves! 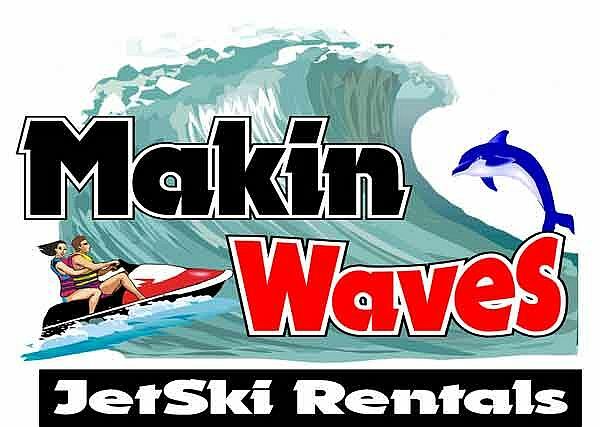 The number one place for water sports fun in the Topsail Island, Surf City, and Sneads Ferry area. Make your 2019 vacation the most memorable yet! Rent a wave runner, or rent a boat, be the captain and take the whole family on an adventure, or get away from it all on one of our Kayaks. Get up close and personal with North Carolinas beautiful wildlife. Our number one goal at Makin Waves is to insure your safety and create a memory that will last a lifetime. Sign in and let us know ! We are located at 1343 NC Hwy 210, Sneads Ferry N.C. 28460 next to Century 21 Realty and across the street from Rick's Restaurant, just one mile over the high rise bridge from North Topsail Beach.